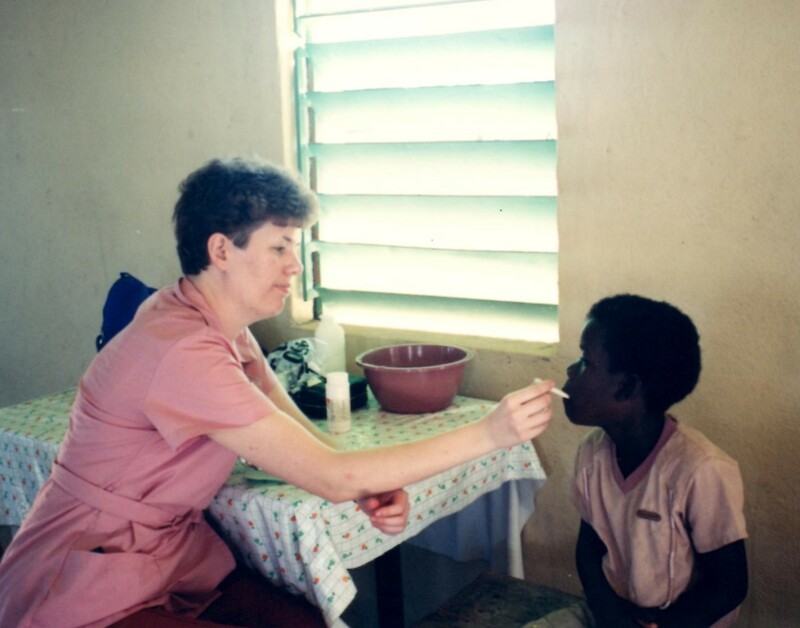 Last October, Dr. Pete and Judy and I decided to sign up for a two-week medical mission trip to the tiny English speaking country of Belize, formerly British Honduras. It is located on the Caribbean Sea just south of Mexico bordered by Guatemala on the west and south. February is not the rainy season there, so we’re hoping our bus doesn’t get stuck in the mud like it did in Honduras! And we’re hoping to communicate with the patients in English in the clinics without an interpreter. 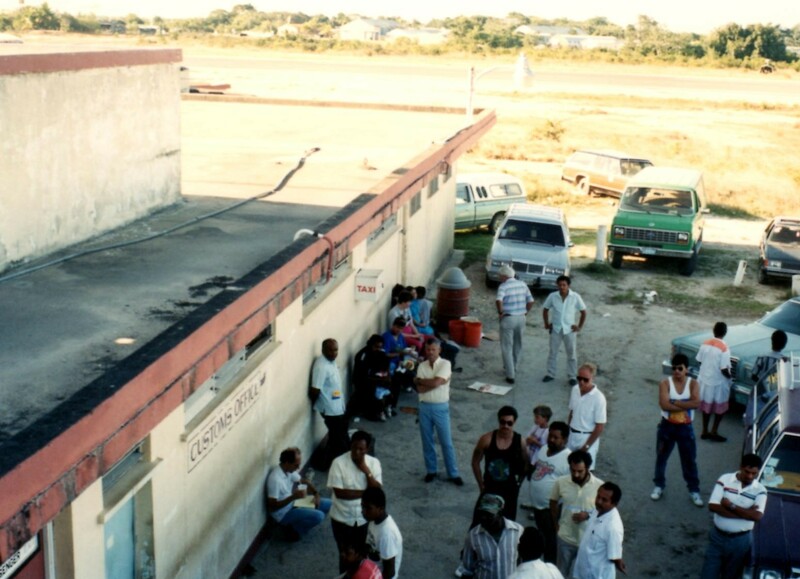 Our Eastern Airlines plane was delayed, so we arrived a day late in Belize City. It took me eight hours to fly there from the Midwest through Miami. It was great to leave the snow behind and step off the plane into 90-degree heat. The mission leader, Larry, who also led the Honduras mission in 1989, met us at the airport. It took two hours for Dr. Pete to get his surgical equipment through customs. The airline lost my checked luggage again, like when I went to Honduras, but this time my carry on bag was well packed. I brought enough dried food for two weeks, three pairs of scrubs, toiletries, swimsuit, my blood pressure cuff, stethoscope, and gospels of John to hand out. Took two hours to go through customs with Dr. Pete’s surgical equipment. My suitcase was lost for a week. Larry drove us to the capital city of Belmopan where we had a delicious dinner at a Chinese restaurant. It seemed strange to be eating Chinese as our first meal in British Belize, but apparently, there are Chinese restaurants all over the world. Judy and I said goodbye to Dr. Pete since he will be doing surgery for the entire two weeks in the city hospital of Belmopan while Judy and I work with the medical and dental teams in the villages. We piled into the small Datsun pickup truck and drove on dark paved and dirt roads, passing some citrus processing plants. 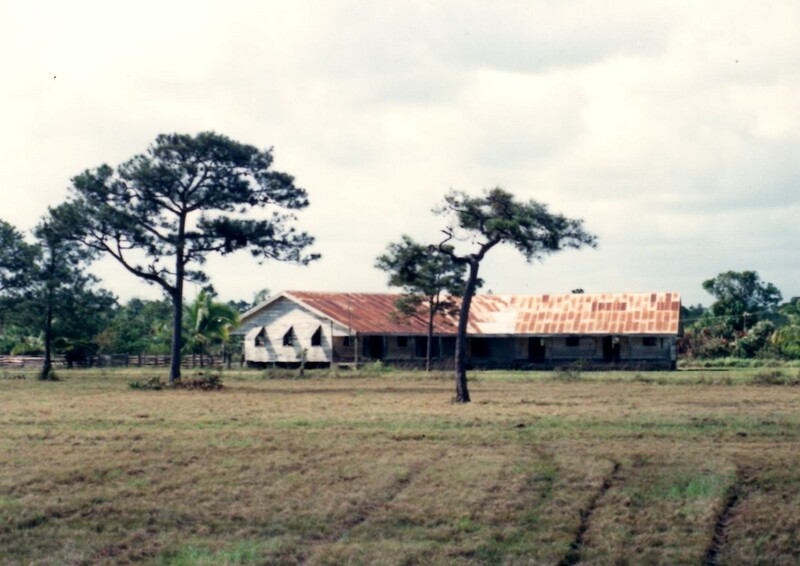 We came upon a stranded high school bus with 57 teens sleeping in the middle of the road for the night while they waited for a clutch to be brought to them from Dangriga. We took one of the chaperones with us and arrived in Dangriga at midnight. As I bid her goodbye, I gave her a gospel tract to read. Judy and I tiptoed into a two-story house by flashlight, trying not to awaken the other women on the mission team who were already asleep. We found two empty mattresses on the floor, tried to clean up a little in the barely working bathroom, and thanked God as we stretched out on the floor. The next morning, I awoke as the sun streamed into our room through dusty windows. I noticed some dark blobs on the ceiling as I gazed up. 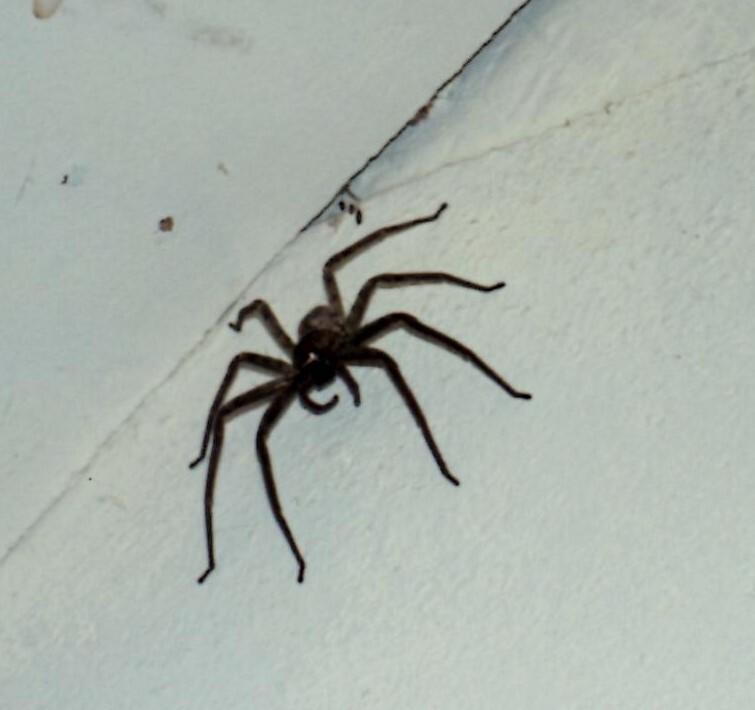 I put on my glasses and gasped as the blobs came into focus–tarantulas on the ceiling as big as the palm of my hand. I nudged Judy and pointed, and she gasped also. I silently prayed and thanked the Lord that I didn’t know I was sleeping under tarantulas all night. I got up and went to the bathroom which I could see better in the light now. The water trickled out of the faucet, barely enough to wash my face. I brushed my teeth with my bottled water. Then I looked at the bathtub and saw worms crawling out of the drain. I gagged and left the bathroom. No shower for me today. A sponge bath will do. I asked the Lord to help me be flexible and adjust to all these tropical creatures in Belize. Tarantulas as big as my palm were over my bed all night. After putting on my scrubs, Judy and I walked with the other women a few blocks to breakfast where we met the men on the medical and dental teams. Judy and I and two other women spoke privately with Larry about the tarantulas and barely working bathroom. While we work in the clinic today, Larry said he would try to find other accommodations. This house has been vacant for awhile and no one had time to clean it before we came. We enjoyed our 7 a.m. breakfast at Pastor Chester’s home under a big tent. Because the church is too small to support him and his family, he works several jobs. His wife has a small restaurant and made us fabulous fresh bread. I also had instant oatmeal that I brought with me. I’m praying I can tolerate the food here better than I did in Honduras in 1989. I had to take antibiotics for a month for an intestinal infection after I returned from Honduras, so that is why I’m being cautious. Fabulous meals were prepared for us by the Pastor’s wife who owned a restaurant. Judy and I introduced ourselves to the rest of the team. I was assigned to Team 1 and Judy will be on Team 2. A separate bus will take us to a different village daily so we can give more people medical care and the gospel. There are a large number of retired people on the teams and about half are from Canada. There are some young people from the Mennonite Church who will share the gospel with the patients. 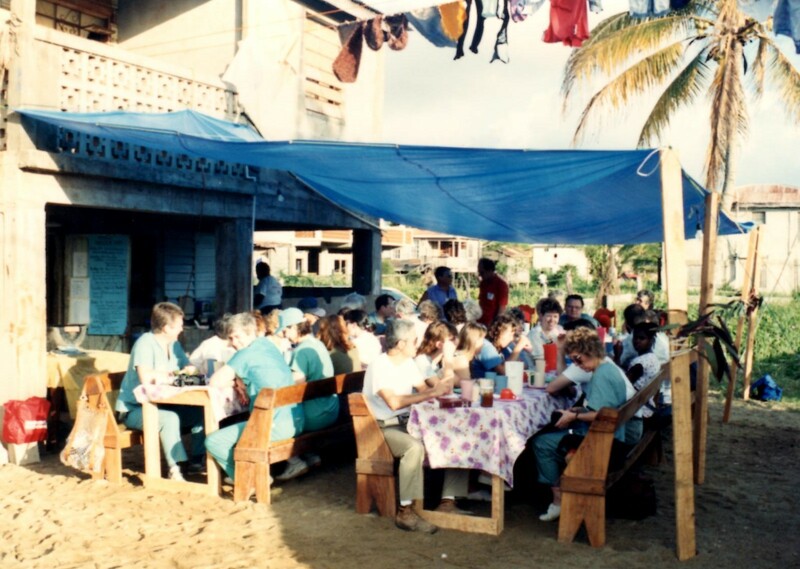 I will be the triage nurse again which I enjoyed doing in Honduras. We boarded the bus and bumped along until we arrived at Silk Grass Village. For some reason, they didn’t know we were coming, so the residents helped us set up the clinic in the community building. The people are very friendly and speak British English, so I’m having a little trouble understanding their accent. I found two children who would like to be pen pals with my Bible Club children back home, so that was fun! A kind lady made stew for us for lunch which we ate in her kitchen. Their homes are built on stilts and have shuttered windows without screens. The mosquitoes are plentiful and biting! We saw about 50 patients in the clinic today, so it was quiet compared to the clinics in Honduras. But I guess that isn’t too bad, considering they didn’t know we were coming! Our first clinic was held in Silk Grass Village Community Center. I check a boy’s temperature. Dinner back in Dangriga under the tent was excellent with chicken and rice, and broccoli cheese soup. Larry was able to find another place for us ladies to stay at a small hotel in town. It’s a simple place above a bar and restaurant with a co-ed bathroom down the hall from our room. Judy and I fell into bed at 10 p.m. What a long day. Next post, I will continue to tell you about our other clinic days. My flexibility was tested to the limit in this challenging start to this mission trip between the delayed plane, lost luggage, and infested sleeping quarters. Adjusting to frequent change is a way of life. The one constant is the Lord Jesus Christ. From what I have read, Belize has made good progress in their infrastructure since I was there in 1990. It has now become a popular retirement place for expats because of its warm location on the Caribbean Sea and is the only English speaking nation in Central America.